We will submit your Web Site URL to High-Quality 5 Social Media sites! It is the most NATURAL andsearch engine friendly technique. Social Share is one of the Best AndMost Effective Way to Ranks yourBusiness By Online . 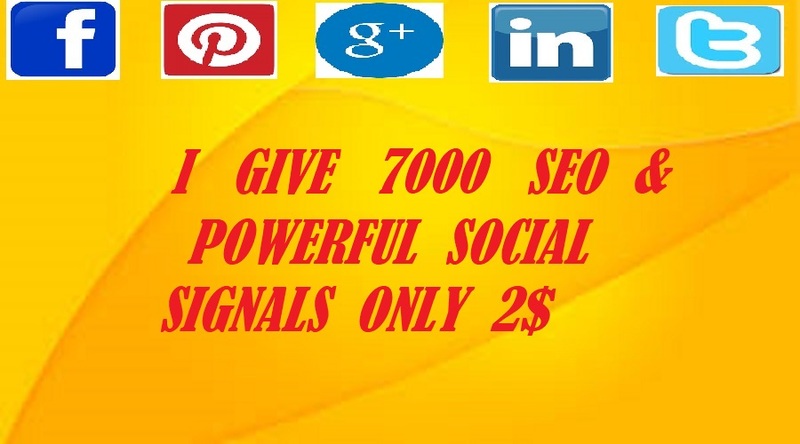 We do best service 7000 powerful SEO social signals is ranked 5 out of 5. Based on 3 user reviews.